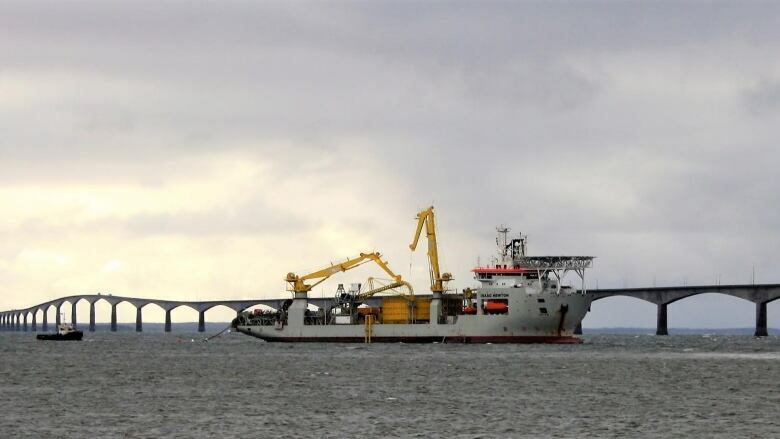 Trenching of the new electrical power cables across the Northumberland Strait is complete. The cables will undergo multiple tests before they are up and running. Once energized, the two new power cables will have a capacity of 180 megawatts each, the province said in a news release. Prior to the new cables, the province's electricity was provided by two 40-year-old cables with a total capacity of 200 megawatts. The new cables will increase the province's total interconnection capacity to 560 megawatts. Maritime Electric managed the project and will maintain the cables, while the P.E.I. government will own the cables and shared the $140 million cost with the federal government. The province expects to officially take ownership of the cable in June. It said there will be no fishing restrictions in the waters over the cable after June 3. The Isaac Newton cable-laying vessel began the work in May 2016. The ship is expected to sail to Charlottetown over the weekend before returning to Europe in coming days. Paula Biggar, the provincial minister for transportation, infrastructure and energy, said construction of the cable between P.E.I. and New Brunswick has been the government's top infrastructure priority. "Although the Island generates 25 per cent of its own electricity from wind, our residents and our economy depend on a reliable connection to off-Island electrical power," she said in a news release.